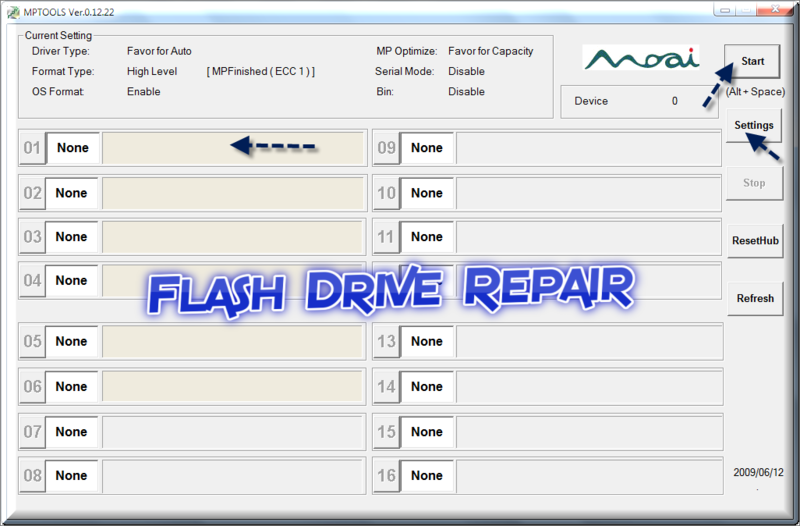 How to repair Chinese USB custom Flash drive .Learn how to repair and format Moai Custom USB stick MA8100, MA8102 and MA8103 .Download MOAI Recovery tool and repair your corrupted MOAI flash drive now . Hello My friends , Do you buy a Custom USB flash drives from the internet before ? like Ebay or Amazon or this Marketing websites .Sometimes we buy unknown USB flash drives and some of them is A fake Flash drives because you buy it as 64 GB and you found it 512MB later , something like that .I'm not saying that all Chinese USB custom Flash drives is worthy , but some of them that not have Conscience .I'll Say to you BE Careful when you buy unknown thing from the internet , you must be sure what you buy , gather information first and ask MR Google first . 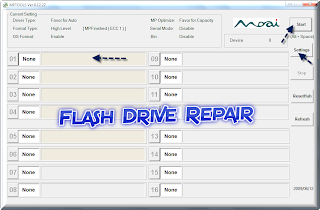 Today we will explain how to repair and format Moai Custom USB stick MA8100, MA8102 and MA8103.MOAI Company developed a new format and recovery tool for it's Custom USB pen drive .MOAI MPTOOLS is a great recovery tool that support Custom USB stick that have this models MA8100, MA8102 and MA8103 .First you must be sure that your Custom flash drive is one of this models by using Chip Genius software to get the Custom USB Flash disk information .Just follow the repairing tips below . Download MOAI MPtools from the download links below . 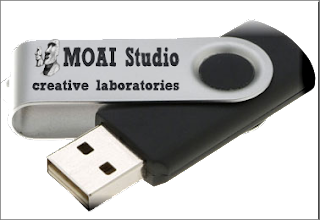 Insert your MOAI Custom USB flash drive to your PC . Wait until finish repairing your Moai Custom USB stick .